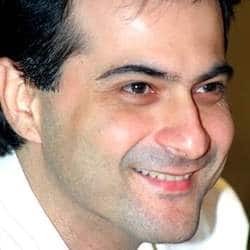 Sanjay Kapoor is Anil Kapoor and Boney Kapoor's brother. He has acted in Raja, Mohabbat, Auzar, Sirf Tum, Koi Mere Dil Se Pooche, Shakti, Qayamat, Darna Mana Hai, LOC Kargil and Luck By Chance. He also has a cameo in Kal Ho Naa Ho.